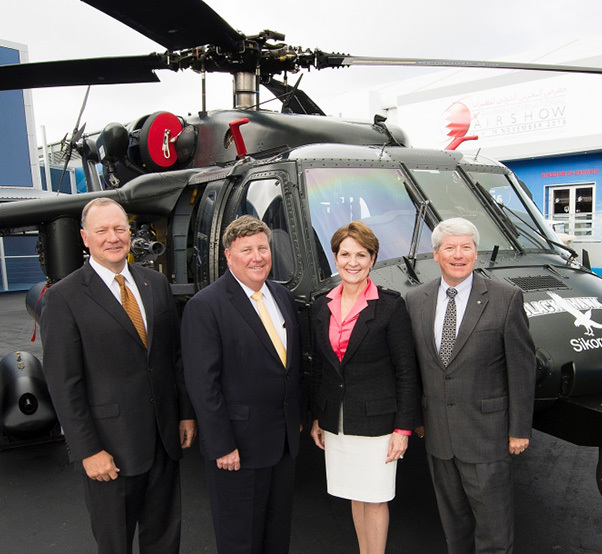 Viewing the armed helicopter with Lockheed Martin Chairman, President and Chief Executive Officer Marillyn Hewson are (from left) Sikorsky President Dan Schultz; Executive Vice President of Lockheed Martin Missiles and Fire Control Rick Edwards; and Executive Vice President of Mission Systems and Training Dale Bennett. Lockheed Martin unveiled a European-built Sikorsky Black Hawk helicopter at the Farnborough International Airshow, showcasing the types of weapons that can be integrated onto the multirole aircraft. Armed external wings on either side of the displayed aircraft feature a total of four weapons stations, with launchers for a mix of air-to-ground missiles, a 19-shot Hydra-70 rocket pod, and an FN HERSTAL Belgium manufactured rocket machine gun pod. 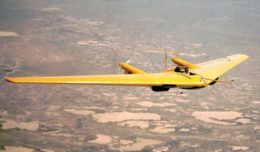 For laser designating of a future weapons system as well as intelligence, surveillance and reconnaissance missions, the aircraft’s cockpit chin features Lockheed Martin’s INFIRNO™ sensor system. Now a Lockheed Martin company, Sikorsky can configure an armed helicopter to the specific preferences of current and future customers.